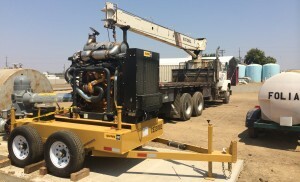 Nor-Cal has a professional sales and engineering staff, a full service pump and machine shop, and experienced field technicians that offer all phases of service and repair for pumps and electrical systems. 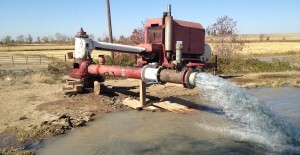 We design all new pump systems to attain the highest efficiency for each specific application. Each system is designed to meet your specific needs after a full inspection of your drilled well, or a review of the well driller’s report. Additionally, during the design phase, we take into consideration future service and accessibility. Nor-Cal is dedicated to providing designs that utilize the best technology in order to produce systems that operate with the highest efficiency and reliability. After the water well drilling has been completed we proceed with well development and pump installation to enable the water to be pumped up from the water table. There are many different types of pumps available depending on the flow requirements. Whether your requirements are electrical or diesel power, we will install the correct pump to satisfy your water needs. Our pumps and drive systems are carefully selected by our design engineer and installed by experienced technicians. Utilizing modern equipment and correct tooling helps to provide fast and efficient time management, to help keep the cost of installations and service at a minimum. Having a full service pump and machine shop provides the ability to expedite emergency situations where difficult to find parts can usually be fabricated or repaired in a very short time and then reinstalled and returned to service.